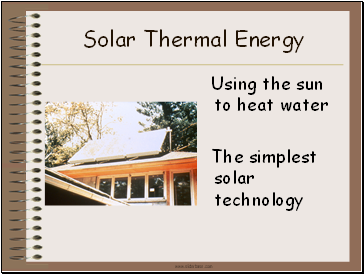 Solar water heating (also called solar thermal energy) is the simplest of the technologies. This includes heating water for use in our homes for cooking, bathing and cleaning, or for heating swimming pool water, or even providing space heating in winter. These systems have been refined and improved and widely used over the years to the point where they pay for themselves in energy savings while making people’s lives more comfortable and lowering their energy bills. 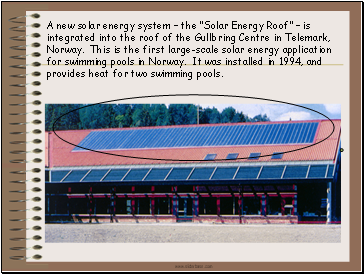 There are many commercial as well as residential uses of solar water heating. 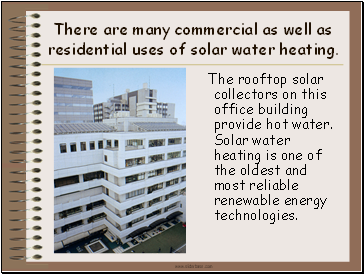 The rooftop solar collectors on this office building provide hot water. 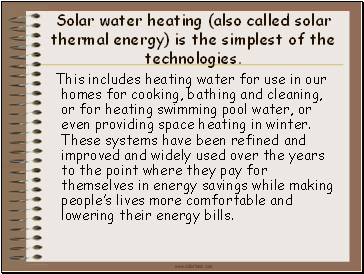 Solar water heating is one of the oldest and most reliable renewable energy technologies. 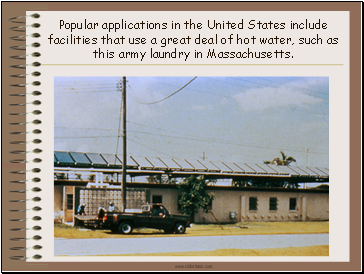 Popular applications in the United States include facilities that use a great deal of hot water, such as this army laundry in Massachusetts. 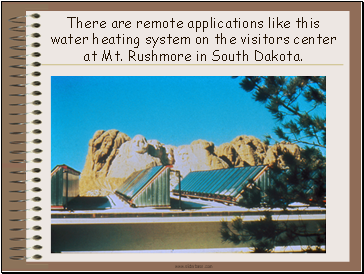 There are remote applications like this water heating system on the visitors center at Mt. Rushmore in South Dakota. 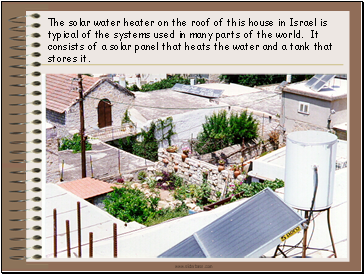 The solar water heater on the roof of this house in Israel is typical of the systems used in many parts of the world. 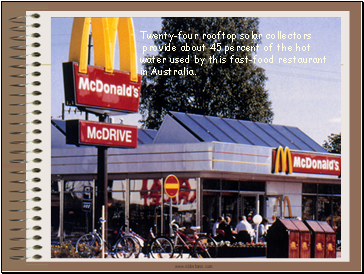 It consists of a solar panel that heats the water and a tank that stores it. 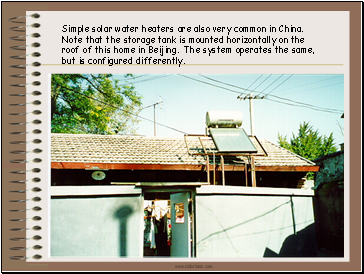 Simple solar water heaters are also very common in China. 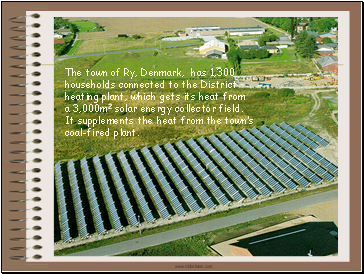 a 3,000m2 solar energy collector field.